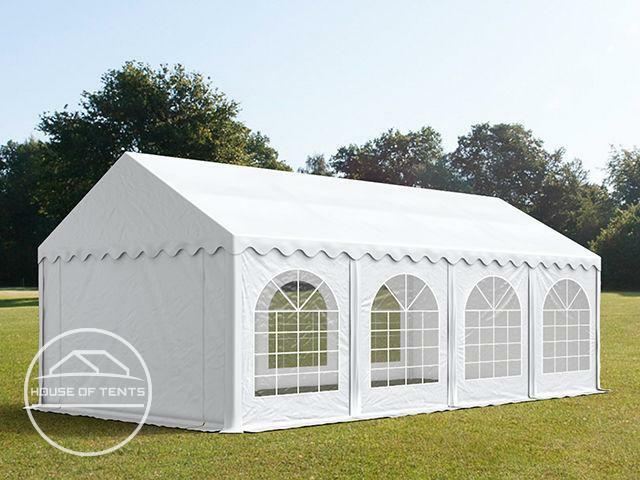 This marquee features a fully-galvanised, anti-corrosive frame with a base frame and additional roof reinforcement. Approx. 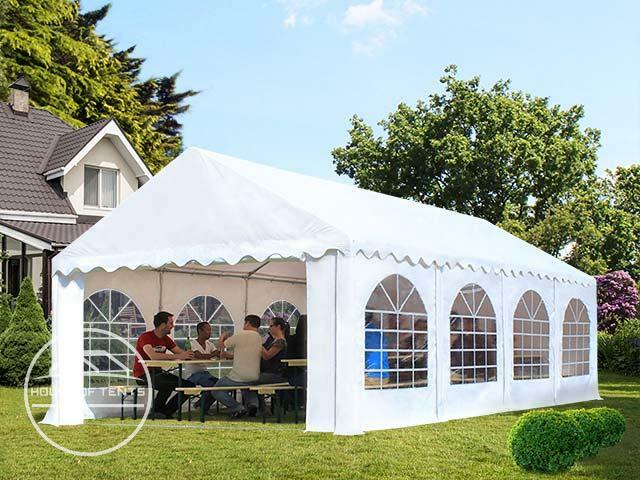 500 g/m² PVC tarpaulins feature a heavy-duty patterned internal fabric, provide high sun protection of 80+ and are 100% waterproof. 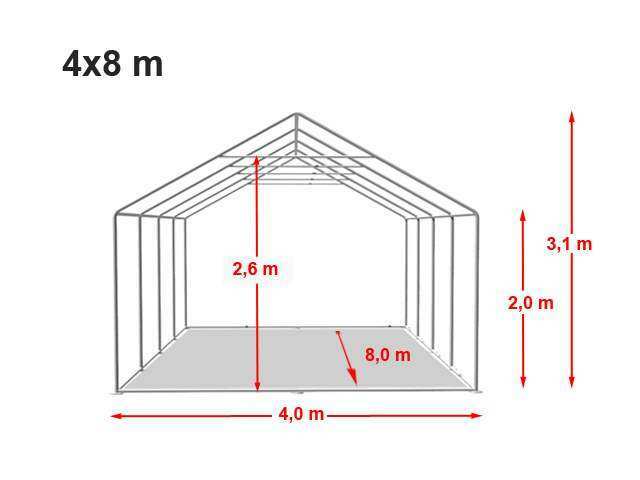 The side walls can be installed individually at distances of 2 m, which enables a variety of alternative constructions. 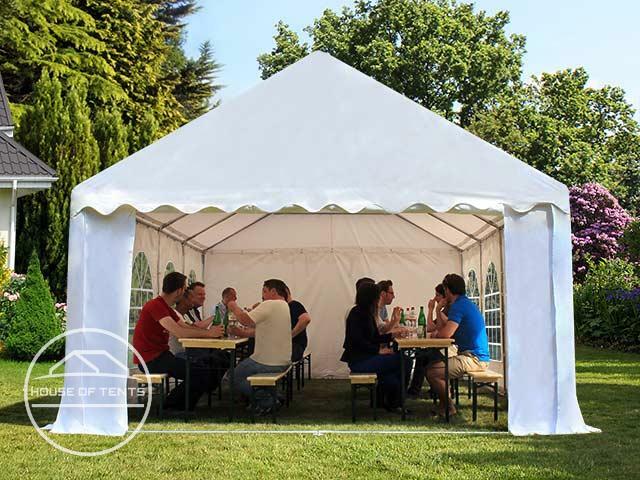 This robust, stable marquee can also be used all year round. Premium - for stable affairs! 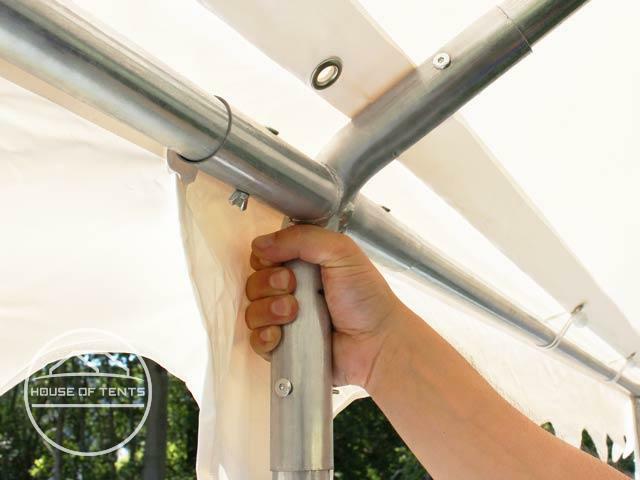 Reinforced sides and increased stability through a base frame around the entire base, that can be partially or fully installed. The gable walls have differently sized entrances with robust zip-opening systems.